William K. Wong, Jr., M.D. is Board-Certified by the American Board of Ophthalmology, and is consistently voted one of the “Best Doctors in America” and “Hawaii’s Best Doctors” by Honolulu Magazine and Pacific Business News. A local boy who graduated from Punahou School in Honolulu, he received his medical degree from Jefferson Medical College in Philadelphia, Pennsylvania after completing a B.S. in Mechanical Engineering from Santa Clara University and biological science studies at the University of Hawaii in Honolulu. His post-graduate training includes a military internship at Tripler Army Medical Center, and Ophthalmology residency at the premiere Brooke Army and Wilford Hall Medical Centers in San Antonio, Texas. 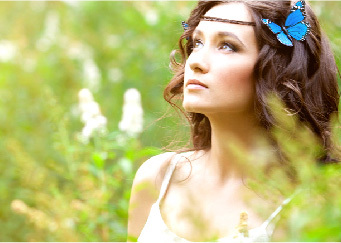 Notably, Dr. Wong has served as an Ophthalmologist in the U.S. Army for over 8 years. He completed a number of certifications in basic and medical training for the U.S. Army during his service, including training in Combat and Casualty Critical Care, Cataracts, Humanitarian Assistance Relief, Ocular Pathology and Ocular Trauma. Dr. Wong was deployed three times, including spending five months in Baghdad as a Battalion Surgeon with Operation Iraqi Freedom. His other deployments include the Mobile Ophthalmologic Surgical Team in Honduras and the Ophthalmology Medical Mission in Tamaulipas, Mexico. Dr. Wong left the Army as a Major in the U.S. Army Medical Corps and served as Chief of Ophthalmology at Irwin Army Community Hospital, Fort Riley, Kansas. As a result of his interest in Laser Refractive Surgery, he initiated a program enabling him to treat hundreds of soldiers with Laser Vision Correction. 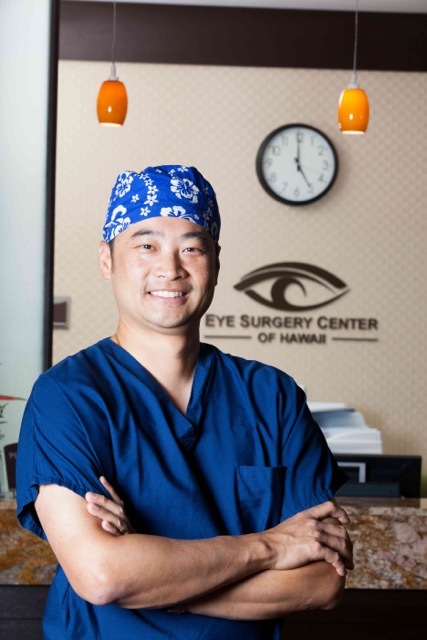 Dr. Wong’s is a Past President of the Hawaii Medical Association, Honolulu County Medical Society, Hawaii Ophthalmological Society, and holds a faculty position as Assiociate Clinical Professor in Ophthalmology at the UH John A. Burns School of Medicine. 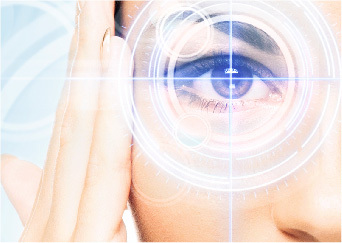 His professional memberships include the American Board of Ophthalmology, the American Academy of Ophthalmology, the American Society of Cataract and Refractive Surgery, and the Association for Research in Vision and Ophthalmology. State of Hawaii House of Representatives Commendation – for volunteer efforts in the 1991 Aloha Medical Mission to the Philippines. Dr. William K. Wong, Jr. continues to pursue excellence in his medical career in his private practice in Hawaii. He dedicates his skills to the care of his patients, adding to his considerable achievements and contributions to the field of medicine. was born and raised in Hawaii. He is a comprehensive family ophthalmologist with special training in the diagnosis and treatment of eye problems in children especially crossed or drifting eyes. Dr. Ing received his pre-medical training from Harvard University, graduated from Yale Medical School and completed his Ophthalmology training at Yale University. He completed a Fellowship in Pediatric Ophthalmology at Children’s Hospital under the direction of Dr. Frank Costenbader and Dr. Marshall Parks who was voted one of the ten most Influential Ophthalmologists of the 20th Century in Washington, D.C.
Dr. Ing enjoys teaching at the John A. Burns School of Medicine at the University of Hawaii and serves as clinical Professor and Chair of the division of Ophthalmology. Dr. Ing has also received national and international recognition for his work in Pediatric Ophthalmology and the treatment of crossed eyes (strabismus). 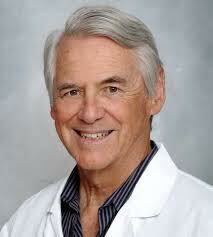 He has published over 60 scientific articles on these subjects and is listed in Best Doctors in America (since 1992) and also listed in Honolulu Magazine’s Best Doctors in Hawaii. In his spare time, he enjoys surfing and won the Hawaii State Surfing Championship in the Legends Division in 2003 and 2004. Dr. Ing also has had a lifelong interest in painting and at one time was interested in pursuing a career in art. 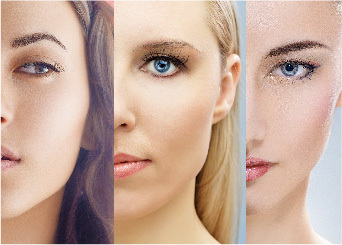 More information on Dr. Ing can be found at Malcom Ing Eye MD. 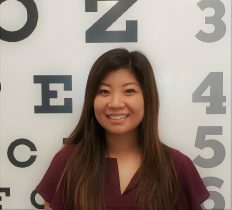 Following in her father’s footsteps, she is a second generation doctor of Optometry. Born and raised in Hawaii, she is an Alumna of Iolani School, class of 2007. She Graduated from the University of Washington with a degree in Environmental Health and was awarded her doctorate from Southern California College of Optometry in 2015.